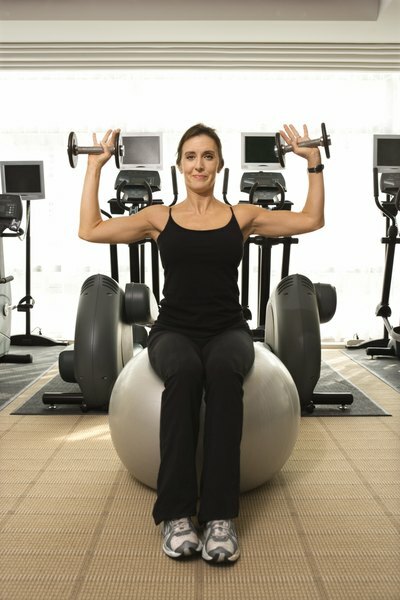 Using free weights or weight machines requires proper breathing techniques. You've probably seen the big burly guys at the gym throwing weights around like they are nothing. Typically they are screaming or holding their breath until they're bright red in the face. If you have ever seen one of them pass out, then you know how important breathing is to proper exercise and weight training. The most important thing to remember is to breathe and never hold your breath. That being said, there are preferred mechanics of breathing that promote improved oxygenation and strength with lifting activities. Well-trained, elite power lifters sometimes use the Valsalva maneuver to increase the amount of weight they can lift. When you hold your breath, there is an increase in intra-abdominal pressure that aids in supporting the core and lifting heavier weights. It also facilitates the Valsalva maneuver, which is when there is a forceful exhalation with the airway closed, that is, straining while holding your breath. This increased pressure also supports the core and aids in heavier lifts. However, this maneuver causes your blood pressure to spike. You have pressure receptors in the artery of your neck that pick up on a spike in blood pressure. This information is then communicated to your brain and causes a sudden drop in blood pressure, which can result in fainting. Unless you are an elite power lifter, it is a technique you should avoid unless you want to be lying on the floor of the gym. 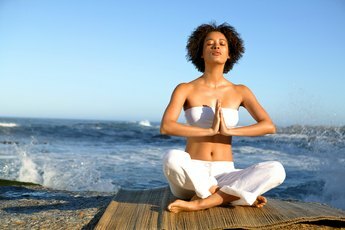 In preparation for lifting, it is a good idea to focus on your breathing; notice your natural, normal rhythm and pattern. Prior to the lift take a deep breath in. Exhale as you lift or contract your muscles to do the work. It has been shown to be more efficient to exhale through your mouth. It helps your body get rid of excess carbon dioxide, but if that feels abnormal to you, exhaling through your nose is sufficient. Try to maintain the exhale for the duration of the lift; don't pause at the end and hold your breath. Inhale as you lower the weight. Inhale through your nose if you can; it allows a more controlled mechanism of getting air into the lungs. The inhale should last through the duration of the release until you return to your starting position. 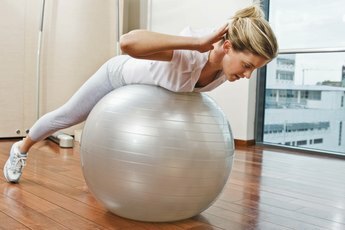 If you are unsure if your breathing technique is accurate, practice with light weights first and move into your normal routine once you have a good pattern. 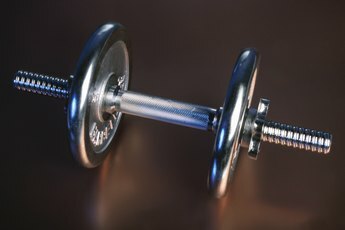 Remember to use safe weights that work your muscles to fatigue but do not overextend you or cause you to break form to complete the exercise. If you notice you have a tendency to hold your breath, you might try counting out loud, or screaming wildly at the top of your lungs, while performing the exercise.